Chinese and American menus for the Grand Cafe. 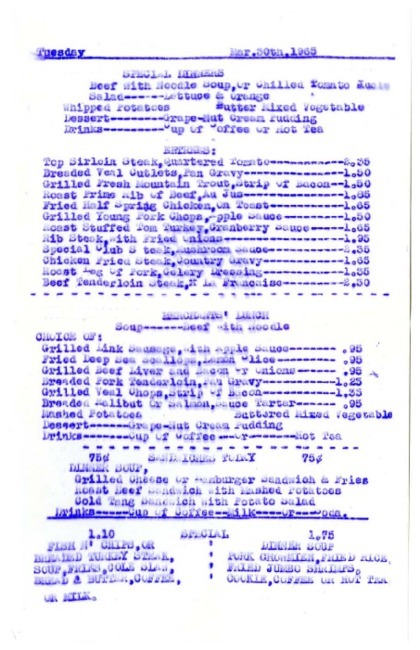 Includes specialty menu from Tuesday, March 30, 1965. 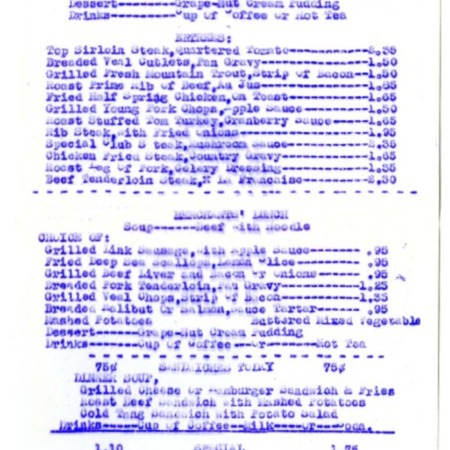 “Grand Cafe American and Chinese food, menu, 1965 to 1967,” Highway 89, accessed April 22, 2019, http://highway89.org/items/show/10257.